Hub Schwandt (Class of 1939), Peter and Lynne Jacobson (Classes of 1961 and 1962), and Sue (Hendrickson) Warner (Class of 1969) will be honored with Distinguished Alumni Awards from the "Keep the Quality" Education Foundation on Friday, July 21, as the kickoff of the all-school reunion. The Distinguished Alumni Award intends to recognize the accomplishments of Paynesville graduates. The only specific requirement of the award is to be a PHS graduate. It is meant to honor local graduates who have distinguished themselves in their careers, in public service, or through other significant contributions to society. Over the past two years, the "Keep the Quality" Education Foundation has bestowed its Distinguished Alumni Awards on six PHS graduates. The inaugural awards, in 2004, went to Ken Olson (Class of 1963), Ron Olsen (Class of 1966), and Bruce Stang (Class of 1977). Last year, Gladys Deadrick (Class of 1925), Joe Pung (Class of 1961), and Dr. Jim Hess (Class of 1971) were honored. The "Keep the Quality" board selected this year's trio from dozens of successful PHS alumni. Schwandt served in the U.S. Army from 1941 to 1945. He was captured in North Africa in December 1942 and held captive until May 1945. At one camp in Italy, he lost 100 pounds in 56 days. Upon his return to Paynesville, Schwandt worked as a mechanic, as a postal carrier, and started Schwandt Sanitation in Paynesville. 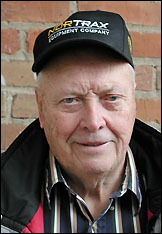 He helped form the Veterans of Foreign Wars in Paynesville in 1946, started the firing squad and drill teams, serving as the quartermaster of the firing squad for 35 years, and was honored with a lifetime membership to the American Legion at Veteran's Day in 2004. Hub died in March 2004. Peter and Lynne Jacobson were high school sweethearts who started dating during Peter's senior year and Lynne's junior year at PHS. 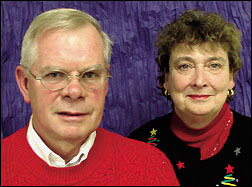 They both earned college degrees as teachers and taught before returning to Paynesville in 1973 and becoming publishers of the Paynesville Press. Under their tenure as publishers, which ended in June with their retirement, the Press earned seven awards from the National Newspaper Association and 37 from the Minnesota Newspaper Association, including the inaugural Mills Trophy in 1983 as the best weekly newspaper in the state. They also have both been active members in the community. 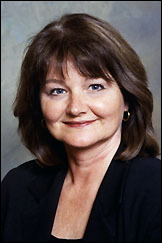 Warner first became a registered nurse and, after a short time as a practicing nurse, began teaching at the University of South Dakota. She has since earned her doctorate and taught at three universities. She returned to the Paynesville area in 2000 - and now lives on the south side of Lake Koronis - and started the nursing program at St. Cloud State University, which is now nationally accredited and has graduated three classes of nurses. These three Distinguished Alumni Award winners will be recognized at a banquet at the Paynesville American Legion on Friday, July 21. Social hour starts at 6 p.m., dinner at 7 p.m., and awards program at 8 p.m. Tickets - available at the Press - are $12 in advance or $15 at the door. An all-class social for the all-school reunion will follow the banquet at the Legion that night.